Pacific Electric cars nos. 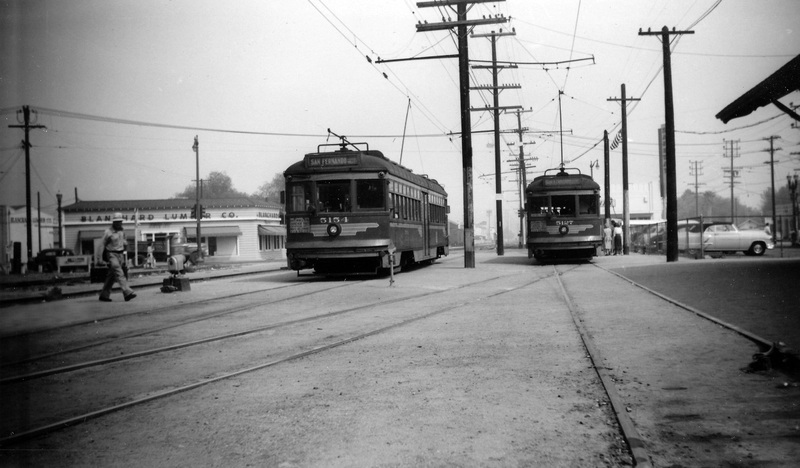 5154 and 5127 idle at North Hollywood station, looking east, on November 15, 1952. Learn more about this photo and its photographer Alan Weeks by clicking here.